Pogróm is a word with Yiddish origin, and is a Russian word meaning “to wreak havoc, to demolish violently, to destroy, or to devastate a town." Eric Pickles, British Secretary of State for Communities and Local Government, is planning to demolish, destroy, and devastate half of Dale Farm, on Oak Lane, Crays Hill, near Billericay. Situated to the North of the now established "plotlands" around the post-war New Town of Basildon in Essex, Dale Farm is home to around 1000 people. It is not a farm. It is a 5 hectare former scrapyard off the A127, outside the M25, owned by the Gypsies and Travellers themselves. They have built their own chalet homes in around 100 plots, large enough to include caravan pitches for their families and friends. The problem they have is that the Local Authority has changed it's attitude to letting Gypsies and Travellers stay to make something of this redundant Brownfield site. Today the Local Authority is mostly against the residents of Dale Farm. But it was not always so in this part of Essex with a long history of "plotlands". In the 1960s there were fewer than 10 plots on Oak Lane. Over time the Local Authority, Basildon Council, granted planning permission for around 40 additional plots. Then attitudes hardened in 2000. The Local Authority decided that the Dale Farm plots could not be added to, and that having allowed earlier building on the scrapyard was a mistake. Residents faced opposition to new building on their own land, and the 50 or so homes that were built in the twenty-first century were never going to be granted planning permission by the Local Authority that now wished none of them were there. Half the homes are legal. The other half have had to be built on land the residents legally own, but which the Local Authority now sees as "Green Belt". The Gypsies and Travellers face a Local Authority that, despite Basildon's history of "plotlands", has nastily turned against them. On Google Earth look for the rectangle of family housing built in poor quality Green Belt land at Dale Farm, Oak Lane, Crays Hill, Billericay, Essex, CM11 2YJ. The Dale Farm Gypsies and Travellers have shown how people can meet their own housing needs, if only the Local Authority will give them planning permission. Now Basildon Council is planning to spend £8.0 million in demolishing their homes, plus the cost of policing the action. The Daily Mail claimed that Essex Police has asked the Home Office for £10.0 million to cover that policing cost. (1) What kind of crazy planning tyranny is it when people - just like you and I - are prevented from planning and building a field of family houses for themselves? Faced with a challenge to 1947 legislation the planning system is acting desperately in forcing the demolition of the Dale Farm homes. The Coalition government has pledged up to £1.2 million to help Basildon Council clear the Gypsies and Travellers away. (2) Basildon Council had asked the department for Communities and Local Government for £3.0 million to help fund an eviction. 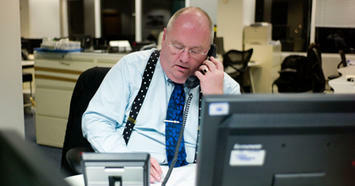 (3) It's not the money, but the bigger principle that bothers Eric Pickles, who is now going further. He promises that the CLG will be consulting on new planning guidelines intended to strengthen the hand of Local Authorities in dealing with "unauthorised developments". Dale Farm may be unauthorised, but it is the Local Authority, the CLG, and ultimately Eric Pickles as Secretary of State, who refuse to grant planning approval. If planning approval was likely this conflict would not exist, and 1000 people would be left in peace. Even Pickles will probably admit that vast swathes of the Green Belt, and particularly in Essex, is poor quality, but like New Labour before him, he will not let it be used to live in, and particularly not by working people. He sees an opportunity to get the "law abiding" working people of Basildon to turn on the hard working and independent Gypsies and Travellers for breaking the stupid planning law, and challenging the very idea of an ecology in need of his protection. So Pickles is now going deeper into the green prejudice that people are sprawling over the countryside, and need to be contained. At Dale Farm he is tapping into the prejudice amongst environmentalists that large families are a problem. Many Gypsies and Travellers like to have large families, and look after each other, but their sociable culture is evidently at odds with the anti-human idea amongst greens that population growth is threatening the planet. The anti-human prejudice is common to environmentalists, but is being directed by Pickles as he pushes the planning system towards a legal presumption in favour of "sustainable development". Pickles is saying that Gypsies and Travellers building homes represents the unsustainable development his National Planning Policy Framework aims to stop. Pogróm originally meant attacks on Jews in the Russian Empire. The first was anti-Jewish rioting in Odessa in 1821. The term "pogrom" gained common use with anti-Jewish riots across the Ukraine and southern Russia between 1881 and 1884, after Narodnaya Volya terrorists assassinated Tsar Alexander II in St. Petersburg. The "People's Will" anarchists were responsible, but the reaction to the assassination took the form of anti-semitic attacks, lootings, evictions, and expulsions. The perpetrators were organized locally, often with government and police encouragement. Between 1903 and 1906 there were further pogroms, while the 1917 Bolshevik Revolution was widely denounced as a Jewish conspiracy. The British "Khaki" General Election after the First World War returned David Lloyd George as Prime Minister in December 1918, and Winston Churchill became War Minister and Air Secretary. No strangers to anti-semitism, and fearing a spread of mutinous internationalism throughout Europe, they sent the British Expeditionary Forces to help the Tsarist "White" Russians attack the Bolsheviks in the Soviet Union. Nationalists and the Tsarist Army, backed by Expeditionary Forces from Britain, France, and the United States of America, engaged in pogroms in Ukraine, Poland, Belarus, Romania, and Western Russia, killing tens of thousands of Jews between 1918 and 1920. Pogroms continued in Romania to 1921. Anti-semitism went systematically with racism against Gypsies across Europe between the wars, and did not end with the massacre of the Gypsy Camp at Auschwitz-Birkenau on 2 August 1944. If the Dale Farm residents win, the denial of the Right to Build can be challenged by many more people around Britain than there are Gypsies and Travellers. Planners would need to win support for something positive to be built by freeholders, having lost the power to say "No". Basildon Council Leader Tony Ball defended the eviction plan on 15 March 2011 in a television interview, posted on www.bbc.co.uk. This eco-anxiety is getting to the truth of the matter. Pickles is blaming Gypsies and Travellers for their independence, but is really worried about "other home builders" who might break the planning law on their own land. 'It’s time for fair play in the planning system', he said, '... standing up for those who play by the rules and tougher action for those who abuse and play the system'. (12) Gypsies and Travellers know the planning system is not fair. It is stacked against them, and if they try to do anything to solve their own housing predicament the planning system will be used by "the wider community" to demolish, destroy, and devastate their homes. Locals who are not Gypsies and Travellers are asking "Why don’t we all start building extra houses, if they can get away with it?" As James Heartfield has observed, '... people usually mean it rhetorically. But actually, it is the right question, just put the wrong way around'. (4) If many more people broke the planning law, and argued to be free to build on their own land as a point of principle, Britain would not have a housing shortage. If Pickles persisted with evictions he would be exposed for his intolerance of Gypsies and Travellers, which in this impending pogrom is hard not to see as an expression of racism. It seems clear that eco-elitism can very easily slip into racism, and the ambition of "Localism" seems reduced to mobilising parochial hatreds. Talking up "Localism", Pickles told the Conservative Home blog readers that '... it’s up to you. Be as ambitious as you can. Be as radical as you like. Be as bold as you want. I’m not going to stand in anyone’s way'. (13) Pickles doesn't mean Gypsies and Travellers. He will do more than stand in their way, and is whipping up racism against Gypsies and Travellers. Not everyone in Basildon will support what he is doing, but the problem is that locally, and nationally, the disparate working people who support the Gypsies and Travellers are not yet sufficiently organised to effectively stop Pickles. That need not remain a political weakness. Pickles will obstruct everyone challenging the 1947 planning law, but he will be viscious against Gypsies and Travellers. He wants "the wider community" to be involved in discussions in determining the number of traveller sites to be provided. (11) Gypsies and Travellers should be free to live on their own land without this sort of government backed locally perpetrated "community" discipline. Don't be fooled by all the talk from this Coalition about "Big Society" or ending the "dependency culture". More urgently, the Dale Farm Gypsies and Travellers need to be defended against the destructive and socially divisive pogrom that Eric Pickles is planning. These family chalet homes should not be demolished. 'We're not wanted anywhere. We're not wanted in the countryside. We're not wanted in the town', Candy Sheridan told The Guardian. An Irish Traveller, and Vice Chair of the Gypsy Council 2010, founded in 1966, she is busy trying to help others through the planning system. 'Councillors don't want to see us', but '... we are part of the countryside and we have been for 600 years. We have more right to be there than they do'. (14) There is plenty of space for everyone in the 90 per cent of Britain that is not built on. Britain should be pushing for a universal freedom to build, not forced demolitions, targeted against the few. Don't be fooled by the awesome mendacity of Eric Pickles. He's got it in for Gypsies and Travellers, and they threaten his planning system. For Pickles this is a long run battle. The CLG looks to be about to demolish more homes built by Gypsies and Travellers than they have managed to deliver through the entire failed Eco-Towns programme. The CLG should be ashamed of their record, and of what Pickles is doing in the name of the planning system. Grattan Puxon representing the Dale Farm Residents Association wrote an open letter to Pickles on the http://lolodiklo.blogspot.com, an organization dedicated to raising awareness about the history, culture and true lives of Romani people. Puxon told Pickles that '... forced eviction is always an ugly action but when it’s being taken against ninety families of one community and those families belong to a ethnic minority, then there must be cause for concern, alarm and shame'. (16) But Pickles is shameless. He says he is acting for the environment and the community of Basildon. In reality he is acting on his own prejudices from within a Coalition government sustained in power by Liberal Democrats. Ian Abley, Project Manager for audacity, an experienced site Architect, and a Research Engineer at the Centre for Innovative and Collaborative Engineering, Loughborough University. He is co-author of Why is construction so backward? (2004) and co-editor of Manmade Modular Megastructures . (2006) He is planning 250 new British towns. Submitted by Ian Abley on Fri, 05/06/2011 - 17:04. You need to read the article properly. The Gypsies and Travellers own the land they are being evicted from. The site they own is an old scrapyard, cleared, and divided into about 100 plots. Half of the owners have approval to build homes on their plots, but after 2000 the local authority changed it's mind and began refusing approvals to the other half of the site. As for my bias - check the references. It is not at all hard to find a background to this story. Eric Pickles, now elevated to Secretary of State, has long sought to curtail the freedoms of Gypsies and Travellers in Britain. He speaks for a substantial constituency that neither wants to provide sites for Gypsies and Travellers, nor wants them to be free to build on their own land. Now he plans the largest demolition and eviction under planning law in recent British history. If this is not a Pogrom I don't know what is. If you don't like the fact that racism exists in the world MAP you should do something about opposing it. Asking people not to speak about racially motivated attacks is a censorship. I'd rather be biased and outspoken than censored and let this contemporary Pogrom pass. In fact I've got a great deal more evidence to publish, and will do so shortly on www.audacity.org. Thanks to New Geography for having the guts to recognise the viscious actions of the British planning system. Please support the Dale Farm residents via the link in the article. Submitted by MAP on Sun, 04/24/2011 - 06:41. I haven't read a more biased article, even on the internet, in a long while. This makes no effort whatsoever to take into account 1. who actually owns the land, and 2. the views of the local planning authority or 3. the other citizens in the area. Nope, only those few being "harmed" are considered. It also does not take into account how the structures are arranged (is it efficient), how they look, or even whether or not they are safe to live in. It does not take into account whether or not the denizens cause trouble for their neighbors, nor does it have to be a race or class issue like the article tries to make it out to be (even using the word pogrom and devoting two lengthy paragraphs to it's history). Seems somebody took a class in Rhetoric and isn't afraid to use it writing one-sided articles. Now you may very well be right, but holy crap, this Pickles guy isn't the devil and he may very well be doing the right thing. Did you ask him about it before painting him with such a broad brush? Nope, journalism at it's best. I don't live in Britain, nor do it's planning issues bother me, nor do I care about Mr. Pickles personally, but lets keep things objective and try to stay away from bias. Keep it a land use issue instead of a race/class issue and a personal attack on a guy who's views weren't even consulted. Submitted by Ian Abley on Fri, 05/06/2011 - 17:11. As I read your comment properly I see that you are not bothered about British planning issues. Fortunately the editors and thinking readership of the New Geography website are bothered. Britain is in a mess over planning. Submitted by luohao618 on Fri, 05/06/2011 - 22:04.